Real sacred geometry in the South of France makes a perfect pentacle between mountains! But the truth goes so much deeper ...Discover the incredible pattern found by Henry Lincoln in the Languedoc of Southwest France. 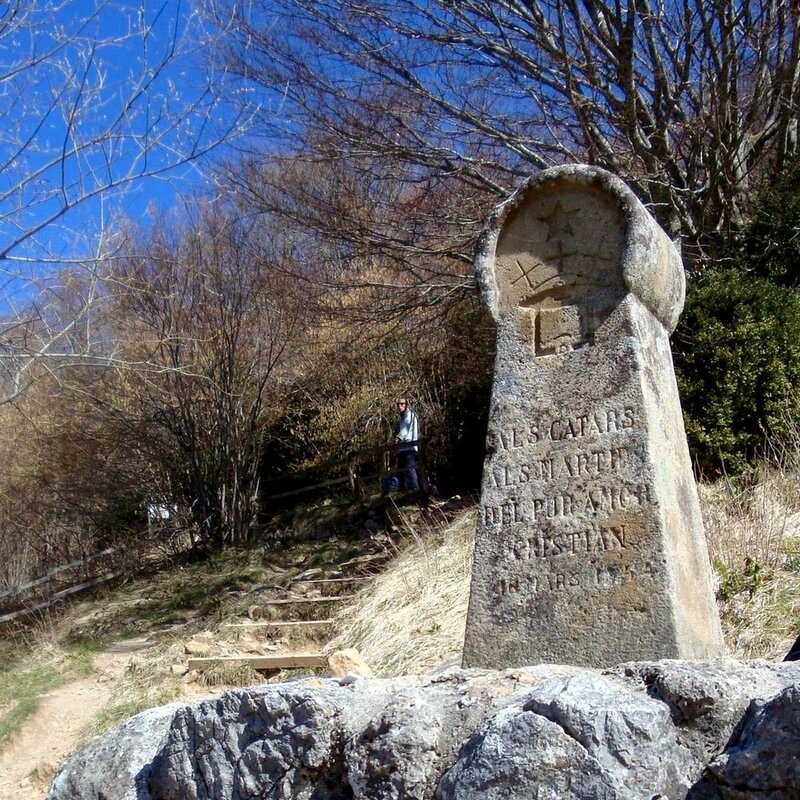 Learn more about this incredible sacred geometry, the secret codes hidden at Rennes-le-Château, the mysterious Knights Templar, the Cathars and the Albigensian Crusade, Mary Magdalene in the South of France, and more. When Henry Lincoln, co-author of Holy Blood, Holy Grail began studying the codes in stone and parchment at Rennes-le-Château, he had no idea where they might lead. It was easy to see the first Boy Scout style message, but there was much more that nagged at him day after day, year after year. 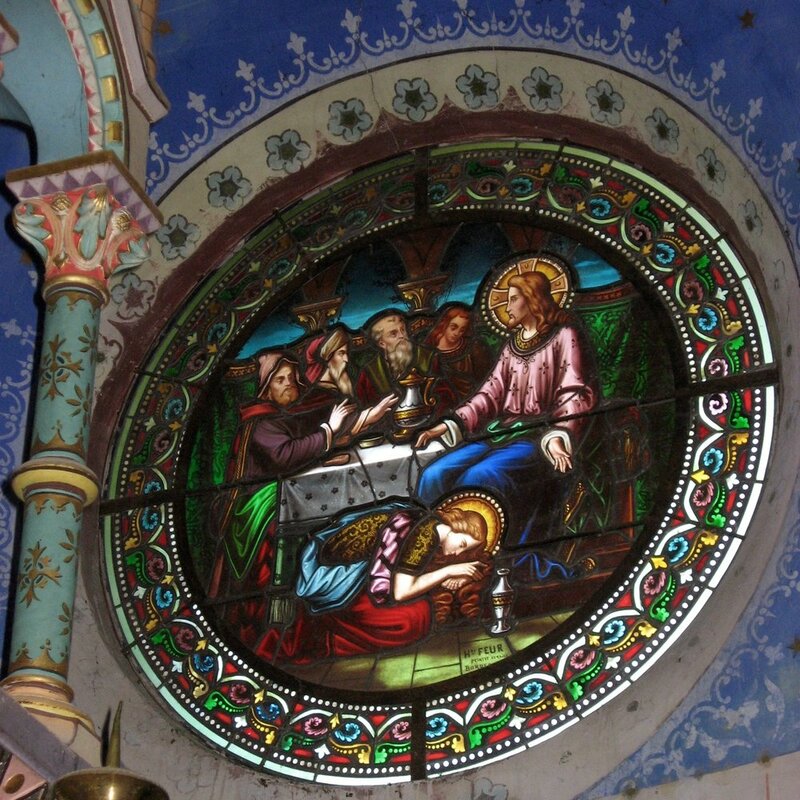 He visited the church, studied the parchments, researched on the side, and talked to experts in a variety of fields. He even published a good portion of the research in his famed best-seller of 1982, but the discoveries he made after Holy Blood went to print were beyond anything he ever expected. The codes pointed to something far older than the life of Jesus Christ and perhaps far more important to the worldview of humanity than anything he could have imagined. The intricate code of this parchment led Henry Lincoln to seek out what it could mean. The parchments Bérenger Saunière is said to have found in Rennes-le-Château church supposedly led him to treasure. Certainly, he lived out his life as a wealthy man with a great secret that is said to have disturbed the priest who took his last confession so much that he refused to give the last rites. When Henry Lincoln came across the parchments, he began to look for codes. The first he found were seemingly meaningless phrases… the next got much more interesting. One of the parchments is coded with a specific geometrical design: the five-pointed star. Initially, this information made no more sense than any of the other codes Lincoln had found. As his research continued, however, he found that a painting, Nicholas Poussin’s Shepherds of Arcadia, which is referenced in another of the coded parchments, is intricately coded with pentagonal geometry. It was not unusual for artists of the age to use geometry in their artwork, but the golden section mathematics employed by Poussin involved a system that had been all but abandoned hundreds of years before his time. These designs in concurrence with hidden messages elsewhere seemed bizarre to say the least. 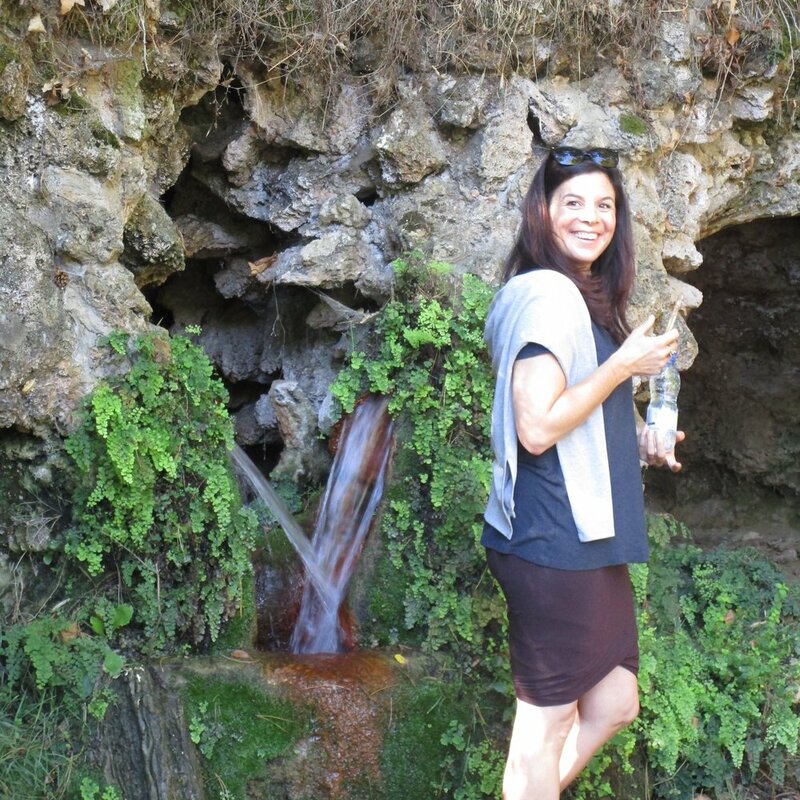 Join the Adventure ... See the site of Poussin's tomb for yourself. The tomb near Arques was destroyed - few still know where it stood. Henry Lincoln pursued his research relentlessly. 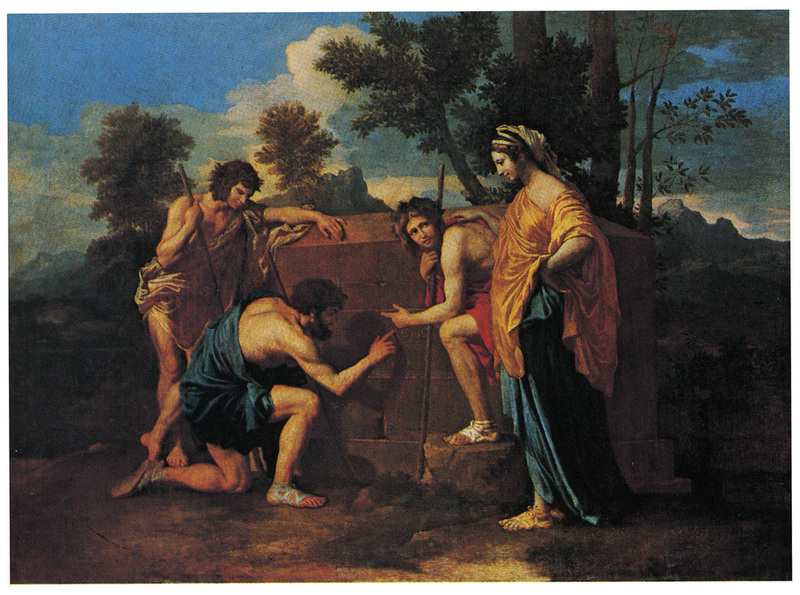 His source, the author of the first book on the subject of the codes and their relation to Bérenger Saunière and Rennes-le-Château, provided him information that the tomb depicted in Poussin’s painting really existed. Always insistent on verifying information for himself, Lincoln visited the site and found the tomb and surrounding landscape to be a remarkable match, despite one obviously intentional difference. Though at the time, authorities insisted that Poussin himself never visited this area of France, they have later recanted and Lincoln rewrote our knowledge of this history, showing that Poussin painted a real tomb near the small town of Arques. Although he was making new discoveries and already changing history, still Lincoln couldn’t see where everything was leading. There were codes about everything from the archetypal ideas of Sion and Arcadia to secret treasure only for the initiated riddled through the clues, but most puzzling of all was the constant repetition of this five-pointed star. While mulling over how to continue his research with the mathematician who measured the geometry of Shepherds of Arcadia, his expert source suggested, “Why don’t you try the design on the landscape?” So Henry Lincoln got out the map. The pentacle here was only the beginning of Lincoln's pursuit of lost knowledge in the region. Some people have heard of Sacred Geometry and churches built to specific measures, but while no one can say with authority what is deserving of the title “sacred,” the geometry that Lincoln uncovered from this simple idea was absolutely mind-blowing. 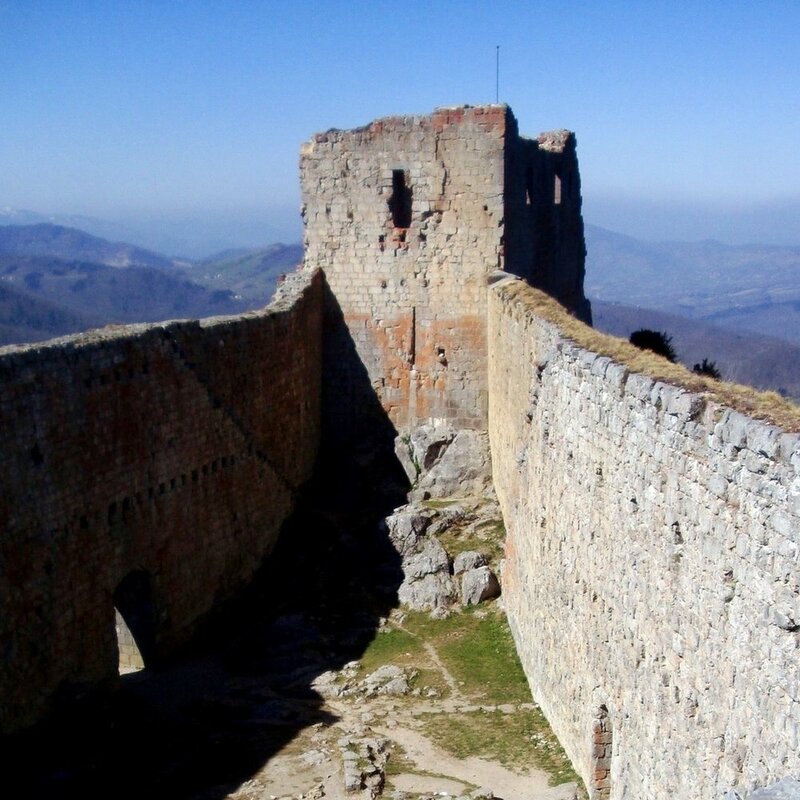 He began using the three major focal points of the Saunière story: Rennes-le-Château, a nearby ruin called Blanchefort, and an old Templar commandery on the mountain of Bézu. He used a 1:25,000 scale map so he could see every building and the curve of the Earth would not play a role in his measurements. When he drew those first lines, the shape spoke for itself. He was blown away. The triangle formed by connecting the Tour Magdala at Rennes-le-Château with the highest point of the ruin at Blanchefort and the Templar commandery at Bézu revealed perfect angles of 36 degrees at the narrow end and two angles of 72 degrees. These are the angles of a perfect star. 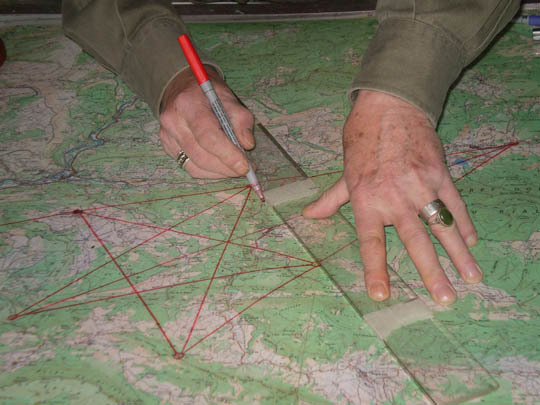 When he began to search for the two remaining points on the pentacle, he found that they both fell on the spot heights, the highest points on two other mountaintops. His shock continued when he measured these lines, finding that their measures were precise within the English measure system. The divine proportion (1:1.618) is the measure by which nature emerges. The geometry began to become complex… and fascinating. The radius of the circle drawn around the star is two miles 1,618 yards. The golden section, also called the divine proportion is 1:618. This is the ratio by which snail shells spiral, sunflower seeds descend in size, and the human body is constructed. Suddenly, the discovery showed this math on a larger scale than previously imagined. His research continued to show that Venus makes five alignments every eight years – also creating a perfect five-pointed star in the heavens. The old saying “As above – so below” is no longer an abstract statement. Lincoln went even further to show such complex measurements of fixed distances between high peaks, standing stones, natural springs, and ancient churches that though academia consistently proved his research, no one dared touch it. What could any of this mean? 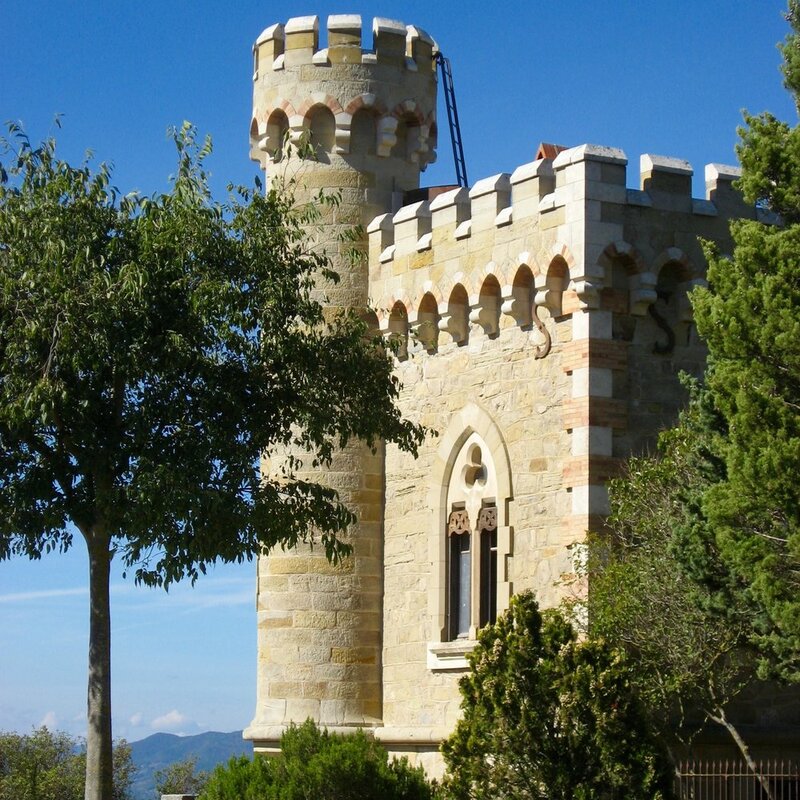 In this small region of Southern France, it is clear that the geometry of the landscape has been recognized before. Perhaps unwittingly, churches built on pagan worship sites have marked it precisely. The towns of the area fall at specific mile measure distances from each other, often divided in divine proportion. What could be so threatening that even in a modern age, we refuse to testify to this obvious and measurable veracity of these findings? What might it have meant for our ancestors? Why has the cover-up gone centuries long and so many lives deep? 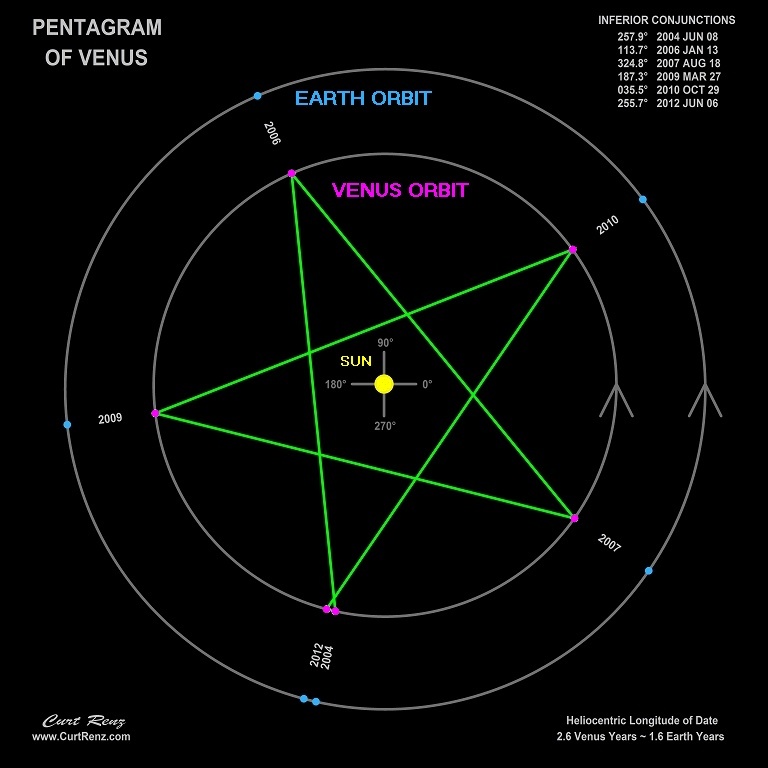 The alignments of Venus every eight years create an unbelievable natural phenomenon. Perhaps it will be for our generation to decide whether, like Galileo’s contemporaries, we refuse to see what is plainly measurable and demonstrable. If the Earth, and perhaps the universe, exist by a geometrical design so complex that it has taken ages to see it, how would its acceptance at last, change the way we view the world around us? In a modern age, what could be so threatening that many still refuse to see the facts? Here, we all need to begin to think for ourselves.